Gimlet-eyed Kristin Yamada is busy snapping street-style starlets on the festival scene. Here are her photos to inspire your own rockin’ look and some wardrobe pieces to achieve the ensemble. This week, our global fashion reporter Kristin Yamada braved the crowds, the furries (really), the commute to Randall’s Island and the inclement weather to shoot a mob of music enthusiasts in their summer finery. Here are her fun pics. Turns out, the shades that we hide behind when running errands without makeup or avoiding paparazzi (real or imagined) are still effective for standing out in a crowd. Case in point: Coachella. In that sea of youthful seraphim taking fashion risks, there were any number of startling new frames. 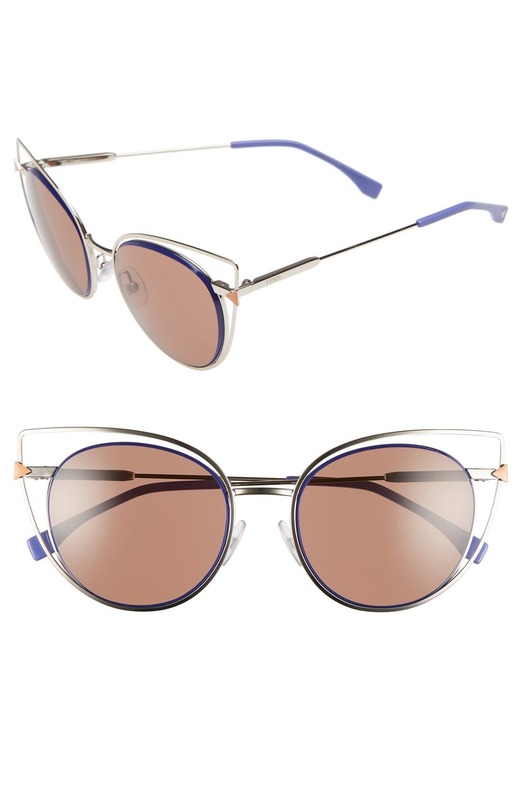 Beyond the basic cat eye or aviator, designs are getting increasingly playful. Glitter, patterns, sweeping angles, tinted lenses—all appear on the new styles. These aren’t simply utilitarian sun shields but rather statement pieces worn front and center, on your face. Here are some of our favorite new ones, as seen on Coachella festivalgoers. 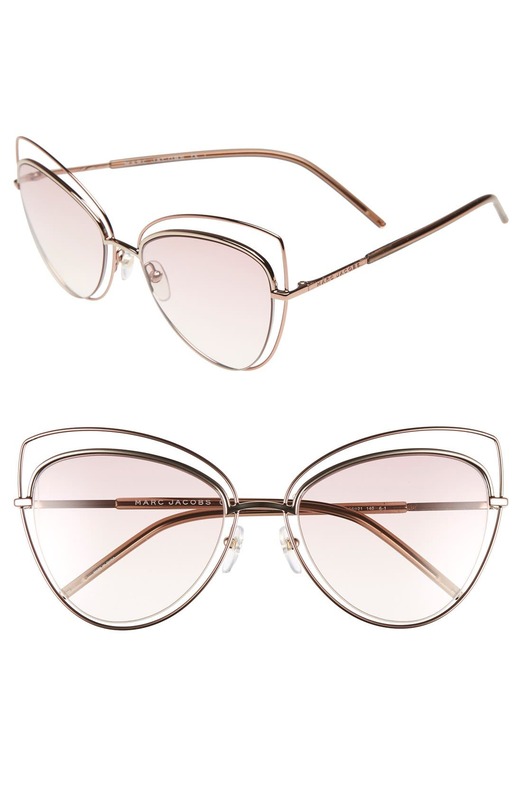 Actress Kiernan Shipka slid on a pair of these frames, with circular lenses enveloped in a wiry cat eye. The interlocking geometric shapes create a striking outline, yet it doesn’t threaten to overpower the face. Your schedule is already packed—you’re so popular. The invites keep coming. Another music festival just announced its lineup, which looks pretty great. Plus you have to make time for the beach, backyard barbecues and rooftop cocktails. This summer is going to be amazing, and exhausting. To help psych you up for it and set the mood at your many events and outings, we’ve curated four playlists with Spotify. Turn them on while you get ready. Crank them up in the car on your way to meet friends. Play them while you celebrate in the sun. These are jams to keep your energy high all summer long. Like the most devoted groupie, Nordstrom has hit the road this festival season to see our favorite bands. But we don’t travel light. In tow is our mobile Pod, a roving relaxation chamber complete with recharging stations, beauty samples, comfy chairs and aura photographer Radiant Human. If you’re also festival bound, be sure to drop by to hang out amid our mirrored rooms, shop summer styles and get your photo taken. There will be good vibes and great energy. Héctor Medina in VIVA, a Magnolia Pictures release. Photo courtesy of Magnolia Pictures. Exploring the complicated codes of machismo and gay culture in a destitute but transitioning sector of Havana, VIVA is both a touching and harsh film. Jesus, a gay hairdresser, pursues his drag star dreams while hustling on the side. His father, Angel, returns from a stint in prison and forcefully sets himself up in Jesus’s home and life. As they struggle to reconcile, Mama, an aging queen, offers tough warmth and protection to both men. German-American sculptor Eva Hesse died of a brain tumor at just 34. But her short life contained more hardship and success than most. Escaping the Holocaust, Hesse came to the U.S., where she studied at Yale. This documentary explores her artwork and journals to show an accomplished young artist celebrated by her Conceptual artist peers and committed to her craft as she confronted adversity and ultimately death. Appleseed, Massachusetts, is the town that metafiction built. When the economy begins to rot, due to a blight of bookworms that burrow into the residents’ very meaning, the young narrator finds his own life and that of those he loves upended. Boucher’s strange story is referentially so. Prepare to meet Reader and question the very act of literature as you consume this book. Like the majority of the thinking and feeling populace, we were floored by Beyoncé’s new album, Lemonade, a beautiful visual and aural exploration of sorrow and forgiveness in intimate relationships and in American racial history. Her interweaving of a maybe-fictional, maybe-real marital infidelity with the tragedies that African Americans, both past and present, have suffered in our nation was mostly poignant, often furious and ultimately redemptive. When Beyoncé told ELLE magazine earlier this month that she wanted to create music to make people heal, she was certainly referring to this. Throughout the changing emotional and artistic terrain on Lemonade, Beyoncé uses her fashion choices to signify complex situations and reactions. From the swinging of a baseball bat in a cheerful Roberto Cavalli dress in “Hold Up” to her defensive Hood by Air fur coat in “Don’t Hurt Yourself,” and from the taunting apathy of her twin hair braids and deuces up in “Sorry” to the romantic Victorian dresses by Givenchy, ruffled shirt by Rosie Assoulin and the “Formation” Gucci red dress, Beyoncé’s fashion choices were evocative, careful and extraordinary. To maintain that residual feeling that great art leaves in its wake, that raw spirit of human resurrection and connection captured in Beyoncé’s verses and that solidarity of sisters united, we’ve rounded up a few pieces that remind us of Lemonade. Wear them to carry you through the week or to see the diva in concert. These are uniforms that slay, like Bey. Our global fashion reporter Kristin Yamada braved the heat, the fringe (it can hurt a person) and the body stickers to bring you shots of sunny fun on the festival scene.